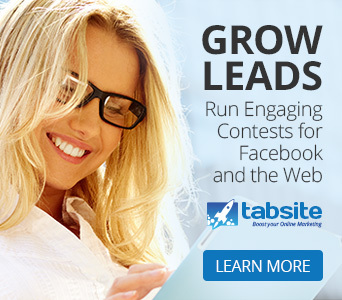 It’s all about growing website leads in the online world! Traffic on a site needs to have a conversion percentage…a certain percent that move on to become leads and customers. This isn’t just for e-commerce sites, but for any site that ultimately offers a product or service. You need to have a strategy for lead capture and often a weak area is the lead capture free offer itself. If the other isn’t a valuable incentive, your results will be poor. At the same time, neither does the incentive need to break your bank account! 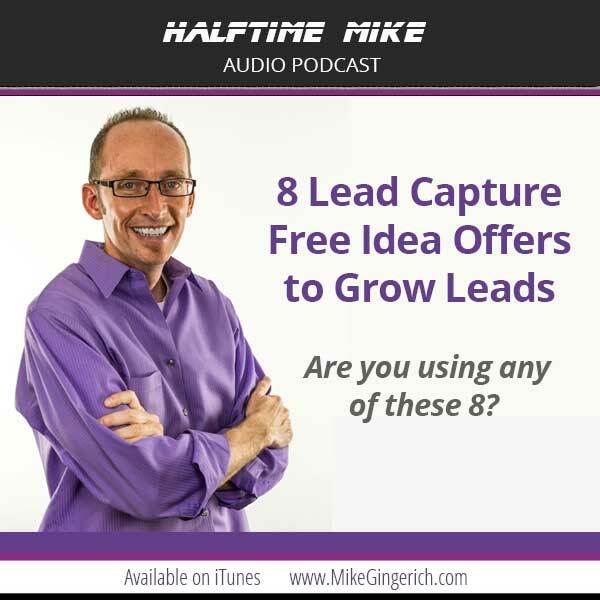 In this episode, I dive into 8 lead capture free ideas for growing website leads. Ready to dive in and get the tips? 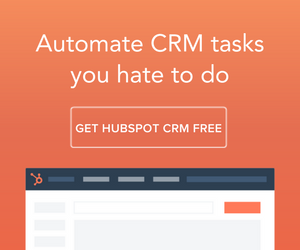 What are the 8 Lead Capture Ideas for Growing Web Leads? 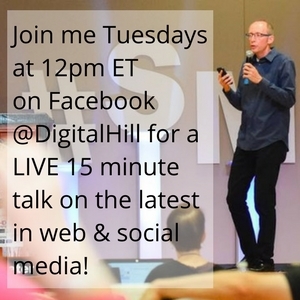 In my book, Game Plan for Social Media Lead Generation, I showcase the digital funnel. It’s in the “lead capture” area of the funnel where this takes place takes place. In the Lead Capture area you have reached ideal potential customers and now directed them to your website and this is where the “Call to Action” or CTA needs to kick in and work for you so they sign-up. 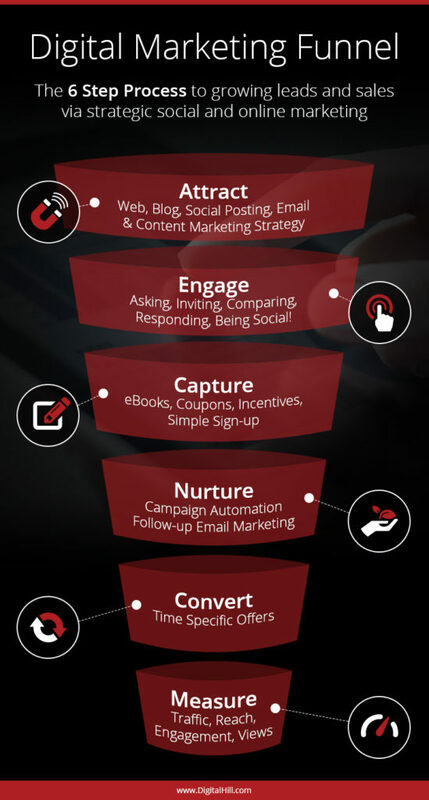 The funnel is a strategy of reaching the right audience, engaging that audience, and then bringing that audience to your website, and email is a key ingredient! You must incentivize to get sign-ups. It’s a way of adding value and motivating the sign-up. Here are some types of free offers you can use to create a high-quality list of people who are happy to see your emails in their inboxes. Particularly for the Business-to-consumer (B2C) websites, a coupon can be a valuable incentive. Offering a one time 25% discount as a way to incentivize the sign-up to be on your news and updates list can work! Be sure the discount is of enough value…hint: 7% off usually won’t work!) Think of it this way, if you can give someone 30% off one time and they buy, and then you know based on history that they buy 4 more things over the next year, wasn’t that initial offer worth it? Coupons won’t work for all industries of course, it must make sense based on what your offering is. 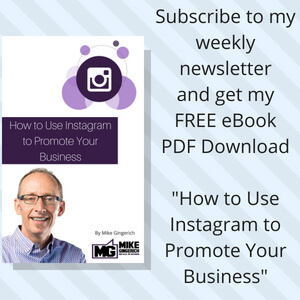 An ebook is seen as a high-value offer that also conveys authority for your brand. This content offers more material and insight than a single blog post and yet less than a book. It’s simply a PDF document, but needs to be formatted in a visually appealing way. A great way to start is to look at your blog posts and think about a way, a series, to bring together 4-6 posts under one topic heading, tweak them a bit to be “chapters” and create your own resource guide from existing content! Every blog post, video or article you create should have value. At 600-800 words, a blog post can offer some help but maybe a more thorough post would be valued. If you offer a post on the 7 ways to do XYZ, then at the end you could offer a content upgrade to see an additional 25 more ways! The visitor would sign-up and then be granted access to the private blog post. See how you can offer a gated upgrade, such as a handy spreadsheet tool, a more indepth video or a checklist based on the information already available. 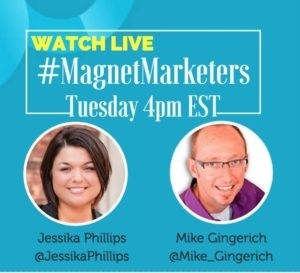 Not only is this an excellent way to provide a highly relevant offer, most of your work might be already done via other blog posts you have, or by simply expanding via video what you already know! One tip is to create a video from 2-3 blog post and make that video your content upgrade. Business love to gain efficiencies and save time! 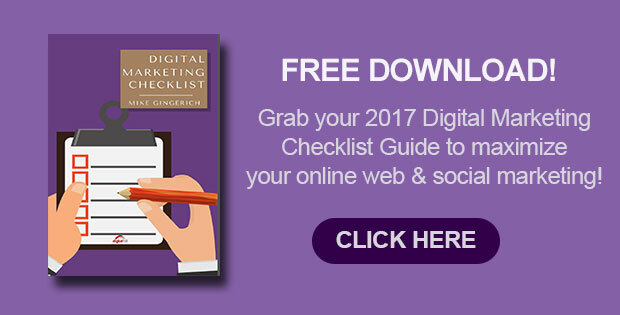 They may not have the time to read through an entire article or guide, but they can follow a checklist of easy-to-understand and actionable steps. You likely have some that can help! Checklist for a workout in the fitness industry. For healthy snacks in the well-being arena, for leading meetings or conducting interviews in the human service arena…it’s all about a quick guide that saves someone time and helps them get more done well! People want help and they’ll sign-up to get it! Another value-adding tool to consider is a specific tool that you give users access to in exchange for their sign-up. Maybe it is a ROI calculator or some other type of calculator specific to your industry. It is simply “gated” with your lead capture and then you offer access. If you can provide a useful free tool that relates to your primary line of business, it’s a great way to generate sign-ups and engagement. Your business probably has a lot of specialized knowledge that helps you do things well, and also quicker and more efficiently. Would this knowledge work well as a free template for your audience? People are always appreciative of time-savers that give a lot of value. An example would be a PhotoShop Facebook Page Cover image Template, or a Template on how to run an effective meeting. How do you organize yourself now and how might others benefit from that? A swipe file refers to a collection of the best you have created. For example, a social media agency might create a swipe file of the best 30 tweets that can be customized and used. Another example, if you write a blog, offer a swipe file filled with great post headlines for a specific industry. Are you a graphic designer? Offer a swipe file filled with your favorite filters or fonts. Give your readers something tangible in exchange for their email. A printable is a file that the new subscriber can download and print at home. This offer can include anything from a daily planner page to a custom calendar or even a coupon to print and bring into the retail store. So, what are you waiting for? Go look at your free offer on your website lead capture and evaluate how powerful it is (or isn’t), and what you need to do now to improve it! Don’t have time to create your free opt-in offer? 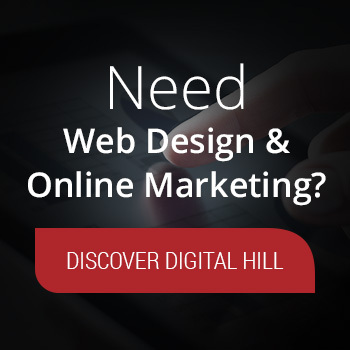 Contact our team at www.digitalhill.com to get some support and have it done for you! 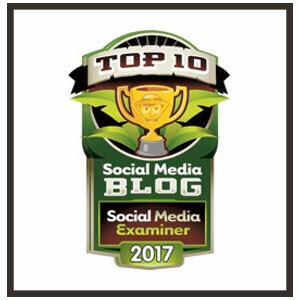 Need help planning your Social Media and Online Marketing? 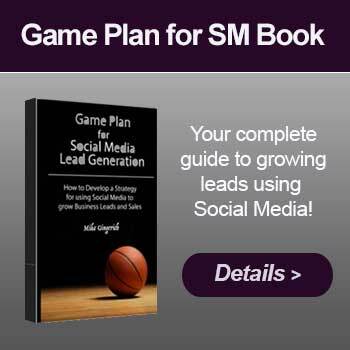 Grab my helpful checklist that includes strategy for social media lead generation. Click image!